in the Republic of Belarus, the Convention on the Rights of the Child entered into force on October 31, 1990. We would like to inform about the vociferous problem of persistent violations of children‘s rights in today Belarus. It consists in the way juvenile justice is administered: it is accompanied by violations of the UN Standard Minimum Rules for the Administration of Juvenile Justice (Beijing Rules). Up to now, Our House has been contacted by the parents and relatives of 29 adolescents who have become the victims of persistent violations of their rights by the state, in particular, by police officers, investigators, prosecutors, the court, and the punitive system. The report was prepared in the framework of Our House’s campaign “Non-Children Case” (“Ne-Detskoye-Delo”), aimed at the protection of children’s rights against the Belarusian state. Upon studying the materials provided by legal representatives, we would like to share with you the terrifying data that require international attention. As a result of a disproportionately severe interpretation of article 328 CC, since 2015 at least 29 minors have been sentenced to a cumulated 270.6 years of imprisonment, from them 23 minors sentenced to a cumulated 219.6 years for the alleged trafficking of a total of 43.85 grams of different types of drugs. Yet four of them are imprisoned for a total of 38.8 years although no drug at all was found in their possession at the time of their arrest. In 18 cases out of 29, during the detention and interrogation, parents or guardians were not notified; in one more case, parents were informed just partially (not completely); in case of another one we have no information. Thus, at least 62% of parents were not notified during the detention of their children; interrogation and detention took place without the participation of legal representatives. Against 23 children out of 29, various tortures were applied during detention by the police; there is no information about two children. Thus, at least 79% of the children were tortured by the police. Police officers, by tortures and coercion, forced 3 children (out of 29) into selling drugs to other children and adults. In addition, the Belarusian legislation has art. 172 of the Criminal Code about “involving minors in committing a crime.” Out of the 29 criminal cases described above, only a single criminal case under this article was institited against the adults who had involved those children into committing crimes. Thus, while the state puts children in jail, only once lawsuit is brought against the adults who provide these children with narcotic drugs. Out of the 29 children, only two were not placed in pre-trial custody immediately after their detention (but later they were nevertheless placed there); on one child (orphan) there is no information. But the reason why those two children were not placed in custody immediately was that a police officer was going to use them as provocateurs and drug dealers. Thus, we can state that actually 100% of the children were placed in pre-trial custody. We draw your attention to the fact that the Belarusian investigation did not consider other, milder measures of restricting the freedom of minors until trial, such as putting a minor under a supervision as provided in art. 123 of the Criminal Procedure Code of the Republic of Belarus. Only in one of the 29 cases, the investigation attempted to establish the identity and guilt of those adults who involved the children in illegal activities. Criminal cases against the adults who had involved adolescents in a criminal offence were not instituted (except one case), and courts did not take into account the influence of these unidentified adults persons on the children as a mitigating circumstance. Moreover, in most criminal cases, the guilt of children, in our opinion, has not been proven. At all stages of proceedings against any of the 29 children, the principle of increased legal protection of minors in criminal proceedings was not applied. It was only regarding to 2 children that a social examination of minors was conducted after their detention and at least formal reports on the examination were attached to these cases. 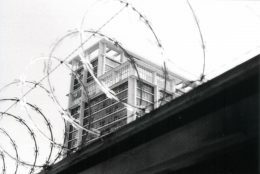 During detentions, a vast majority (68-75%) of the children did not receive medical or other assistance (some children ended in intensive care units due to the lack of timely medical assistance); the problem of access to medical care in prison exists both at the pre-trial and post-trial stage. 10 children out of 29 suffer from chronic diseases, but they also do not receive full medical care. Besides, about 75% of children had problems with obtaining secondary school education, and almost 45% were not allowed to obtain secondary education at all. We continue to follow for the cases and collect additional information concerning the violations of the rights of minors in Belarus.